The next General Election in the UK will be held on May 7th 2015 barring exceptional circumstances like successful no confidence votes in the House of Commons. Tory strategy had been aimed at securing sufficient economic recovery by then to be able to drop the party’s dependence on the LibDems to remain in office. But with growth flat-lining and the international outlook bleak, it’s likely prime minister David Cameron and his chancellor George Osborne may have to go to the country with the British economy still in the doldrums. It will then be a contest in which voters will be assailed by Tory statistics showing recovery is just around the corner, while Labour will insist the government has failed and should be kicked out. This is why “it’s the economy, stupid” dominates elections only to a point. Where the evidence is contradictory the electorate cannot be blamed for looking elsewhere to judge the government’s performance. Enter the NHS. 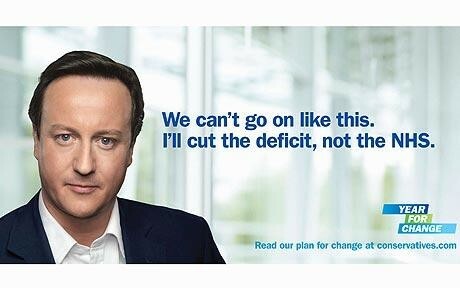 “I’ll cut the deficit not the NHS” was a vote-winning slogan for Cameron and he seemed to have a genuine affection for Britain’s much-respected national health service. Today’s disturbing investigation by The Guardian Revealed: how NHS cuts are really affecting the young, old and infirm casts doubt on Cameron’s sincerity. His case and that of health secretary Andrew Lansley has been front line services will be protected as the government sought to make £20 billion efficiency savings in England. It may be difficult for the man and the woman in street to interpret economic trends but they will know well enough if the standard of patient care they have come to expect from the NHS had deteriorated under the Tories. If so they will punish Cameron & Co in 2015. The party will have to set up camp on the opposition benches; but for the LibDems the future of its party could be threatened. The pledge in the Coalition Agreement, which promised no top-down reorganisation of the NHS, has been holed below the waterline by the Health and Social Care Bill. Just how long will those on the left of the LibDems continue their silence, while their party's top brass tramples on its longstanding ideals?